Fun and futuristic — that's what Roylco Gizmo Paper is all about! 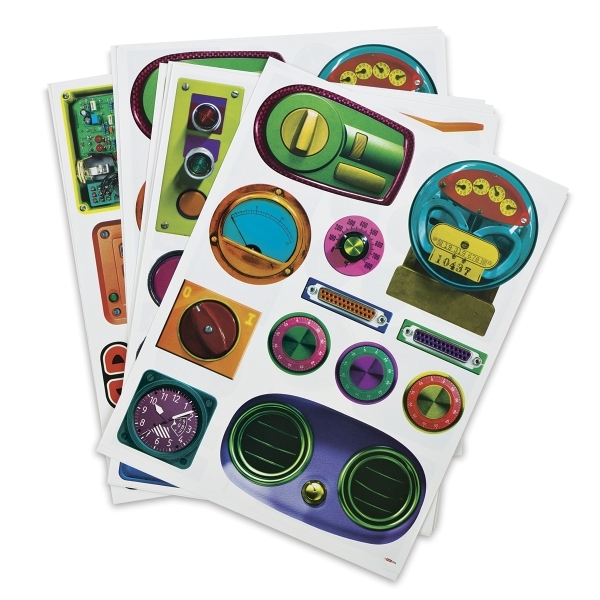 Colorful, technology-inspired designs are printed onto high-quality paper, ready for students to cut out while developing their paper-cutting skills. These bright, easy-to-cut images can be pasted onto boxes and other recycled materials to create imaginative robots and vehicles. The Roylco Gizmo Paper Collection includes 32, 8½" × 11" sheets with eight different designs, plus a guide.